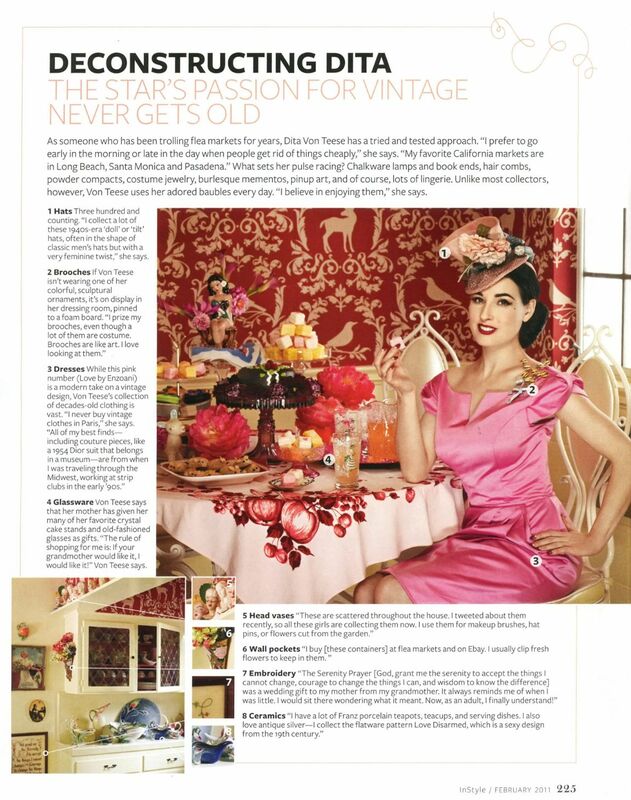 The latest issue of InStyle Magazine features Burlesque Showgirl Dita Von Teese in her home devoted to vintage glamour. And WOW, is it ever. She’s obsessed with flamboyant walls (flocked velvet wallpaper junkies will be excited), taxidermy (! ), ornate lighting and art deco furniture. Her silver silk headboard is a major GLAM SLAM!!! 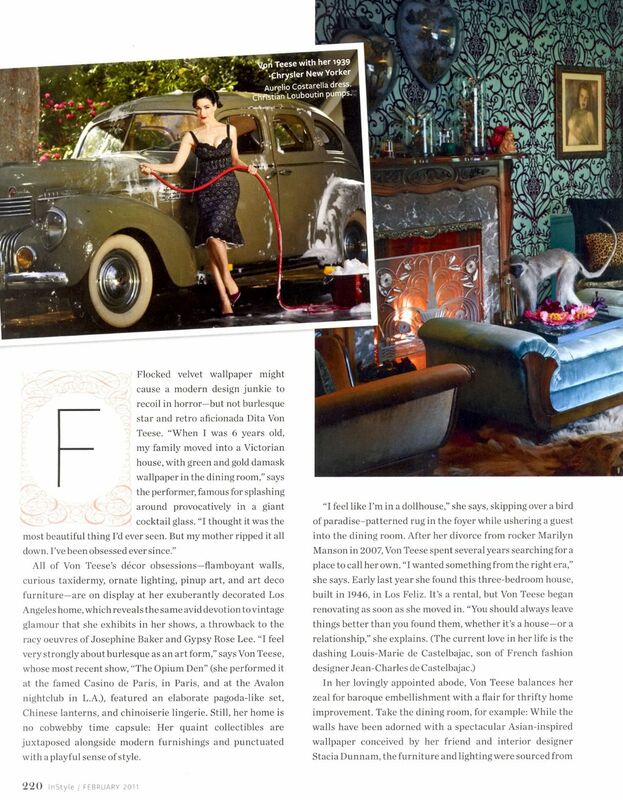 But I am definitely ooohhhhhhing and aaaahhhhing over Dita’s dressing room with an original mirrored vanity from the 1940’s while everything else in the room is brand new. I love mixing old and new pieces together as it gives a room so much more substance and style. Vintage car and art deco furniture in the living room – BUT I’m not going to discuss the stuffed monkey – apparently all her animals died of natural causes (thank god!). Glamour is definitely contagious. If your home is craving some glamour, then contact me online or in person! I’d love to help! Hi, I’m soooo glad you found me and my blog and our mutual love for purple. Please come by again!! Will visit your blog now. Love the silver-grey dressing room and that fab headboard! It’s fabulous isn’t it Connie!! Thanks or commenting and have a great weekend!! Just found your fun blog! See we share a love for purple and glam! Off to read and discover some more!